As a licensed Realtor® since 2003, Kathy Betts has the passion and energy to provide her clients with unbeatable service. Her accreditations as a Certified Property Manager®, Accredited Residential Manager® and from the Institute of Real Estate Management supply her clients with an unbeatable upper hand. Since Kathy joined P.J. Morgan Real Estate in 2010, she has proven herself a devoted client advocate with an incredible work ethic. Kathy’s clients see the absolute dedication and drive she exhibits in every deal she does. 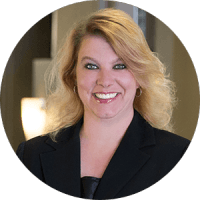 Whether she is managing a property or helping an owner sell their home, Kathy truly dedicates herself to ensuring the smoothest process possible while keeping their best interests in mind. Kathy focuses her expertise in Sarpy County, predominantly the Bellevue and Gretna areas. She was raised in Gretna and is an avid fundraiser for the Gretna Fire Department. She also stays busy cheering on the Green Bay Packers and spending time with her niece and nephew! Kathy, We so appreciate all of your help and your expertise. You know the rules and you make our job as Board Members so much easier. You have to learn new members, their personalities and desires for our community on a yearly basis. We certainly do enjoy working with you and look forward to this relationship for years to come. Thank you for everything! Kat is a true professional property manager. She is dependable, knowledgeable and understands the needs and nuances of the community environment. There is no delay in addressing issues. She has a personality that can work well with people. She has a vast network of contractors on which to call for needs of our co-op. Kat and other PJ Morgan employees give great attention to detail, and there is an excellent accounting system. My wife and I moved out of our unit thinking that we had the place sold, but then problems arose and had to rent it as quickly as possible. Kathy was there to help me through the entire process and really made my wife and I feel comfortable renting through P.J. Morgan. She was on top of everything that we asked for our association. As a Board Member, she is everything that we would want and more. I would highly recommend her to anyone else looking to lease or even sell a property. I wanted to send a quick note about Kat and what a terrific job she is doing with us at the 12 Step House. I’m the President of the Board and my “Day Job” is with Mutual of Omaha Bank as a National Accounts person in Merchant Services. I am in the same department with our CAB and HOA bankers, so I know how much you guys are relied upon. She does a great job for us and is extremely efficient, pleasant to deal with, solution-oriented, smart, helpful and great with attention to detail. I just can’t say enough good things about her.